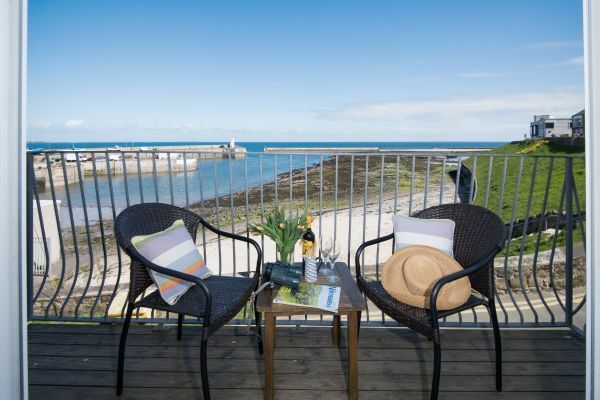 Overlooking the quayside in the traditional fishing village of Seahouses is Harbourside, a former fishermans cottage, which has been tastefully refurbished, allowing guests to relax in comfort while enjoying panoramic views of this magnificent stretch of the Northumberland coast. 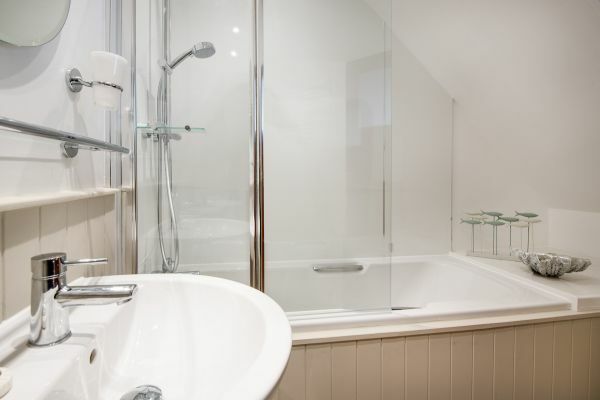 Situated in a designated area of outstanding natural beauty, this two bedroomed cottage(1 double, 1 twin) is located just a short walk from the village’s many amenities. 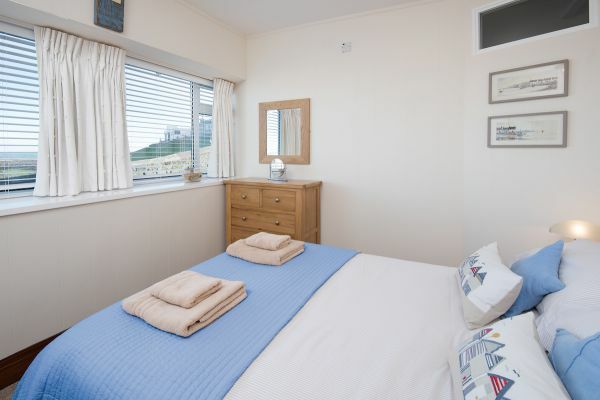 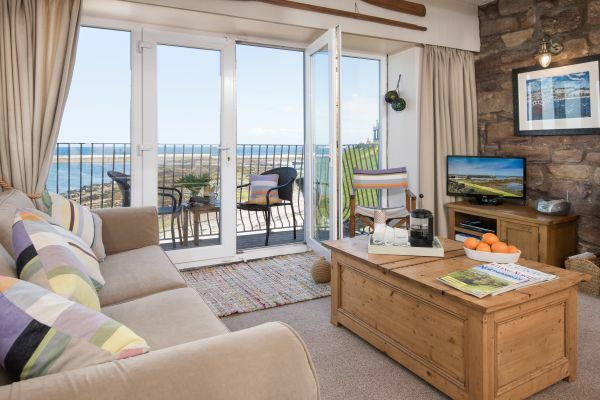 It has magnificent views of the Farne Islands and is close to miles of beautiful sandy beaches, making this four star rated cottage the ideal base for a memorable seaside holiday for couples and families alike. 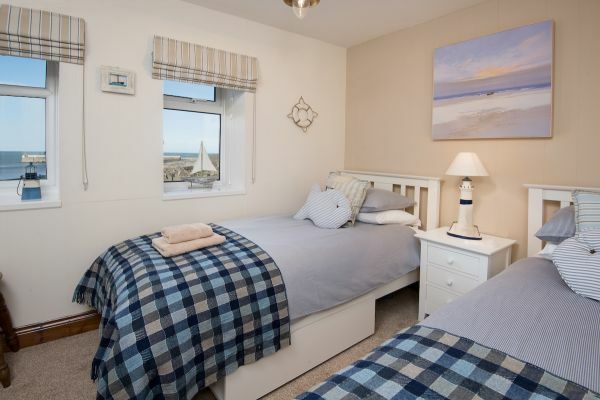 Charmingly decorated in a seaside palette, this quaint property has every modern facility and has a private balcony overlooking the beach and harbour. 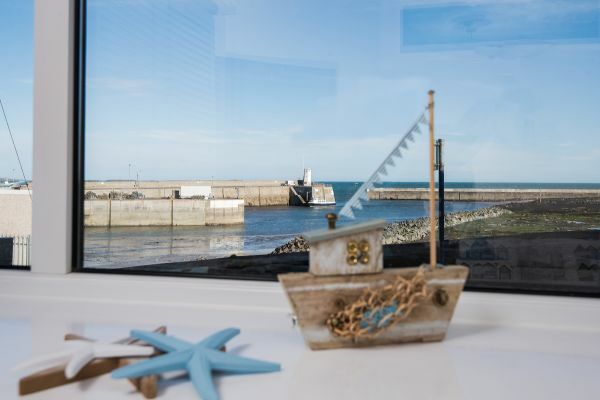 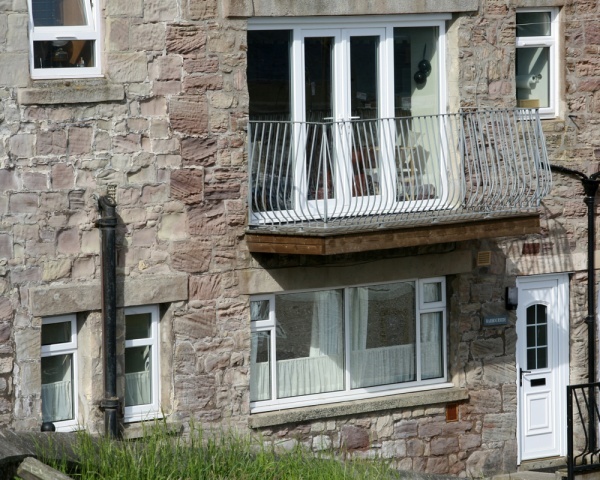 Harbourside is ideally positioned for guests to access the many attractions located nearby, including an abundance of castles, the Farne Islands, famous gardens, rugged countryside and Northumberland's many heritage locations.